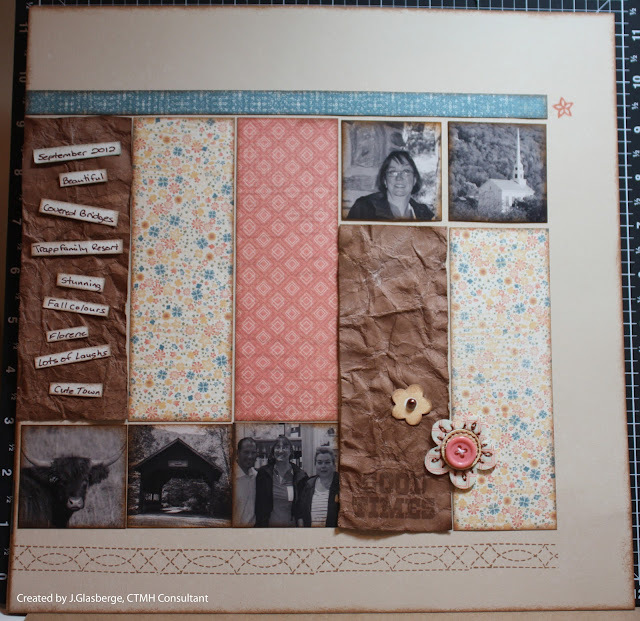 Welcome to our February Blog Hop featuring a two page layout. 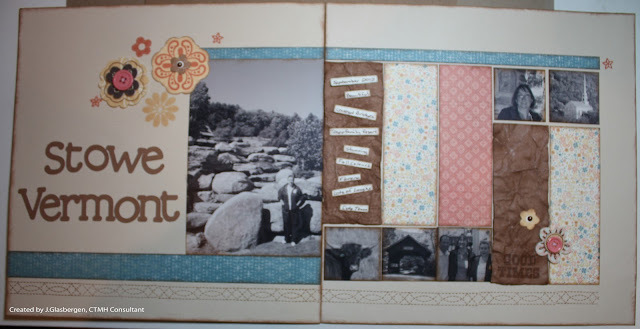 This is the first Blog Hop for us where we have featured just scrapbook layouts. We hope that you will take the time to leave comments on our posts, as we love to get feedback from our viewers....whether it was something that you really liked or some new technique that was used that you would like to learn how to do....by leaving us comments, we get to hear what you like, and what you want to see. Thank you… now on to our hop! If you have just hopped onto my blog, you can start here as this is a circular hop, but if you want to follow us across Canada then please start at the beginning and join "Michelle" at "My Creations". 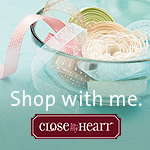 If you came from "Arlene" of "Creative Space" then you are in the right place! Here is my scrapbook layout. I went with a friend to Vermont for a vacation to look at all the fall colours and to go to the Trapp Family Resort. We both love the Sound of Music. It was a wonderful trip. I love the technique of making paper look like leather and instead of journaling, I just used some words that explained our trip. To make the leathering technique: Spray cardstock with water. Crumple paper, uncrumple and press flat under heavy surface or with a hot iron. When dry, sand the ridges with the softest side of the sanding block. Sponge tone-on-tone ink on the crumpled paper's ridges. I used the Clementine Workshop on the Go for this layout so the stamps I used was from that workshop. It is, sadly, no longer available but you can use whatever stamp set you want. Your next stop on the Cross Canada Hop is "Carrie" of " Scrappin with Carrie". If you get lost along the way, you can head to Michelle's Blog, "My Creations", as she has the complete blog list. Great layout Joanne, it's super sweet. Nice layout...love the way you did your journaling. Beautiful! I love how you leathered the cardstock. I will have to try that! LOVE your journal technique on this layout! And thanks for the "leather" paper tip ...awesome! great! this is such a fun layout! This is a great layout Joanne, thank you for teaching how to create the leather technique. Lovely layout and the list journaling is a great idea. I sometimes forget that I don't have to write a paragraph on every layout! The leathered cardstock is also a great addition to this layout. Happy crafting! Love this layout. Your journaling spot really caught my eye. Thanks, ladies, for all the comments! I keep forgetting about this technique when I love the look. Great layout for great memories of a trip with friend.